This is a sponsored post for Loblaws Companies Inc. All opinions are my own, as always. Thanks to all the companies, and readers, who help support Cravings of a Lunatic. 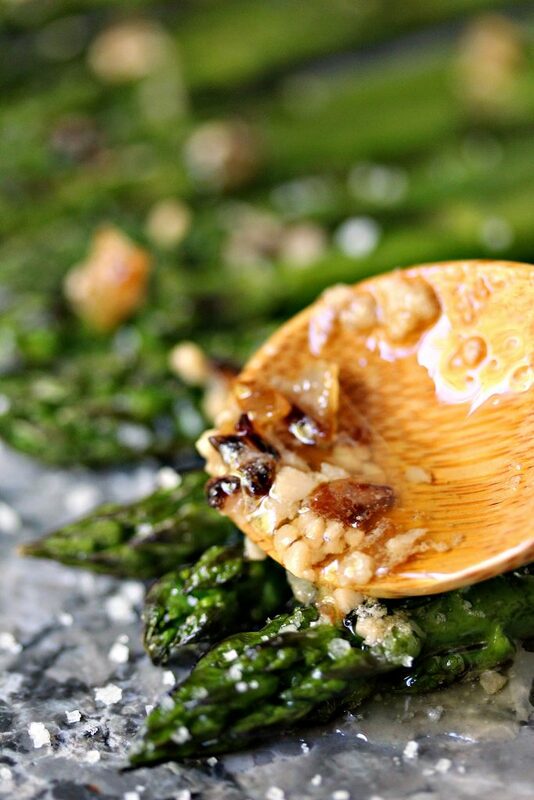 Oven roasted asparagus cooked to perfection, then topped with a simple lemon, garlic and shallot butter. Simply delicious and perfect for any night of the week! Asparagus is one of my favourite vegetables. I used to turn my nose up at it when I was a kid. Then my sister made some for me a few years ago and I fell madly in love with it. She made hers very simply, roasted with just a hint of butter and salt. I was smitten immediately. 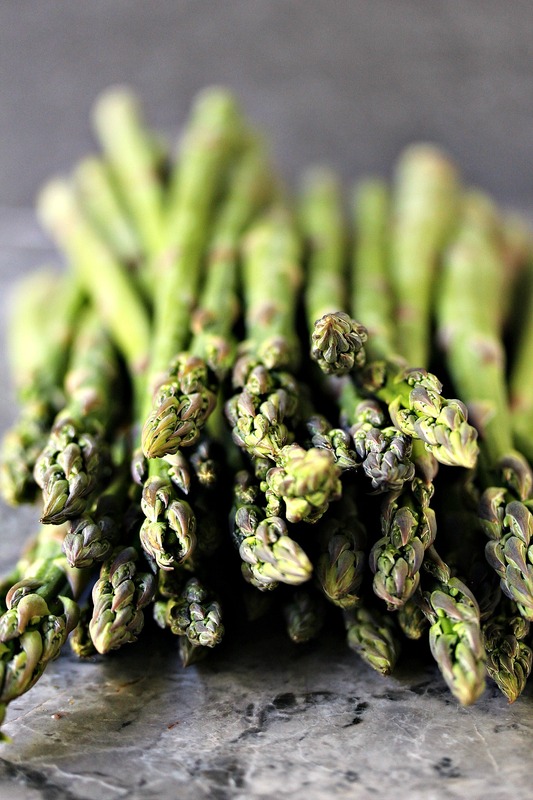 It just so happens that Asparagus is this month’s Share the Food Love ingredient . Once a month a group of Canadian bloggers cook up fabulous recipes featuring an ingredient chosen by Loblaws. I was thrilled when I got the alert that this month would be asparagus. I knew I wanted to make a simple recipe that really showed off the asparagus as purely as possible. Not only because I prefer simple recipes, but I wanted people to see the beauty of this vegetable. Not only does it taste absolutely incredible, but it’s a gorgeous vegetable choice. So I chose to mimic the recipe that my sister made for me years ago. The one that hooked me on asparagus for life. So I roasted the asparagus in the oven as simply as I could. Then I made a very simple flavoured butter to pour over top. It’s just olive oil, lemons, shallots, garlic, and butter. Asparagus is a wonderful spring vegetable, it’s actually a perennial. We used to grow it at our old house. Our new place does not have a garden. So whenever I need some fresh Ontario asparagus I head to the store to pick some up. I usually try to buy a few batches at a time. Any time I see young asparagus I’ll buy even more. The smaller shoots are the best, they burst with flavour. They really are my favourite but I never turn my nose up at asparagus, not matter what. When it’s in season I eat it constantly. Pretty much every single day. Without fail. The larger shoots are still good, just be careful to avoid ones that are too old. They get a woody quality to them. You can help with that by peeling the outer layer if needed. Or just buy when they are fresh and perfect. I always test mine in the store to see how much snap they still have. Once I have all my asparagus safely at home I preheat my oven before I even get my coat off. I’m always so excited for the first batch of spring asparagus. I start prepping ingredients immediately so I can start noshing on the asparagus as soon as humanly possible. Before I share the recipe be sure to follow Loblaws on Instagram. You can also find more asparagus recipes on their site. 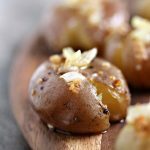 There’s also information on their site about seasonal cooking and where to buy in-season foods. Upload an original picture to your Instagram page that highlights the monthly Food Alert Item, this month is ASPARAGUS! Now onto the recipe! Hope you make this one as soon as possible. Spring asparagus is only available for a short time! Snap or cut off the ends of the asparagus. In a large bowl or container combine the asparagus and olive oil. Toss until all the pieces of asparagus are coated well. 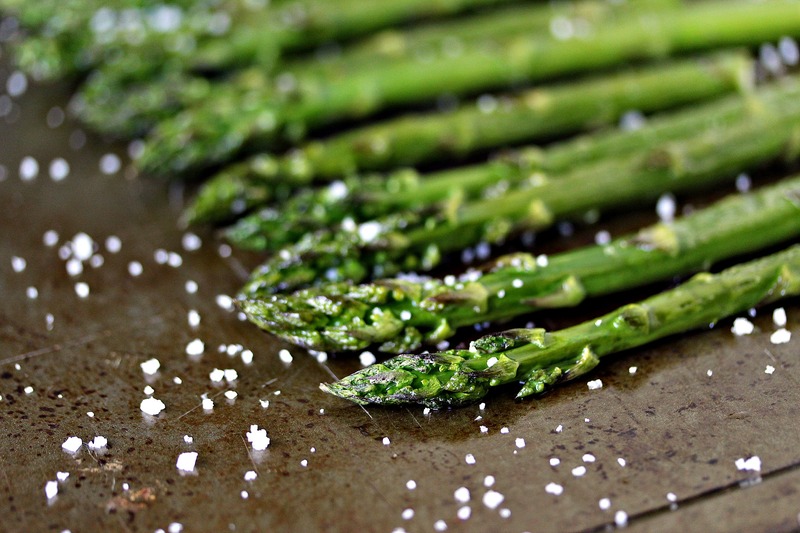 Transfer asparagus to sheet pan and spread out in one even layer. Place in oven and cook for between 10 to 14 minutes, depending on how well done you like your asparagus. Remove from oven and set aside until butter is ready. I typically start my butter while the asparagus is in the oven so it times out well and everything is hot when served. in a medium pan (I prefer cast iron) combine the olive oil and lemon juice. Start to cook over medium heat. Add shallots and cook for a few minutes, just until the start to turn golden brown, but aren't crisp yet. Add butter in 3 stages, stirring or whisking in between each addition. Add garlic, cook 1 minute more. Remove pan from heat and pour over asparagus. 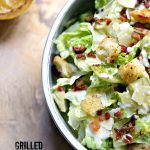 You need to make this immediately, while asparagus is still fresh!! 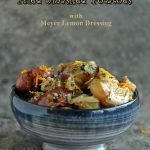 Swing by my recipe index for more great vegetable recipes. Take your time and poke about all the different categories. There’s so many delicious recipes to choose from. Head over to follow me on Instagram and Pinterest to keep up to date on all the latest recipes from the blog! I’m a huge asparagus fan and I love the way you prepared them here. I used to hate asparagus as well! Roasted is the way to go! Looks great. We’re real fans of thin asparagus too. A bit easier to cook, and so succulent. Won’t turn down ANY asparagus, though! 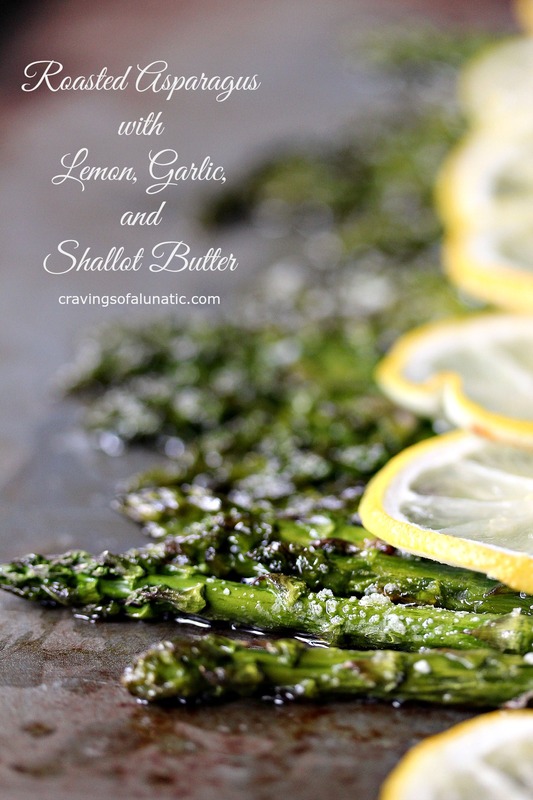 Great looking recipe — love lemon, and can never resist garlic. Thanks! 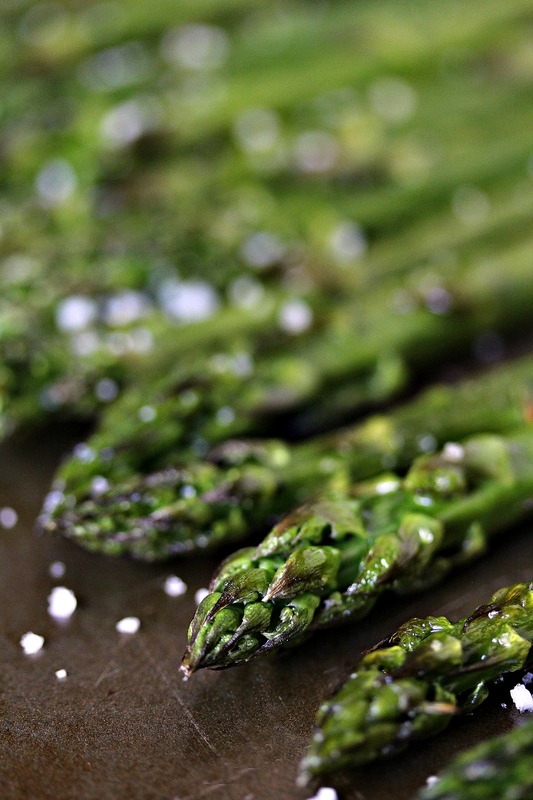 I love love love asparagus – it’s so easy to work with. 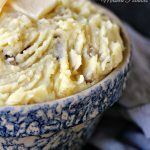 This shallot butter sounds delish and I can think of about a million other things to use it for too! Haha! I hated asparagus as a kid and now LOVE it as well!! We make it 3 or 4 times a week. I’m gonna add this sauce to my dinner routine and give it a try. It sounds amazing! 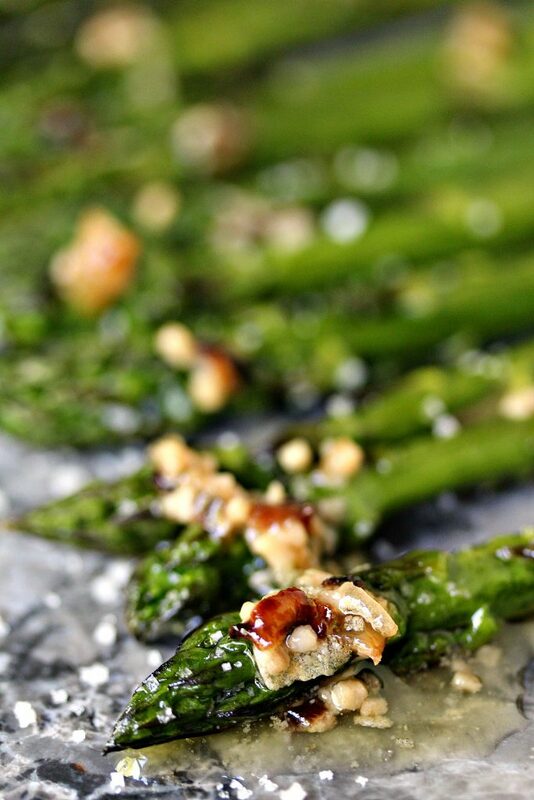 The asparagus is perfectly roasted and that sauce looks so delicious and perfect for such a great vegetable! 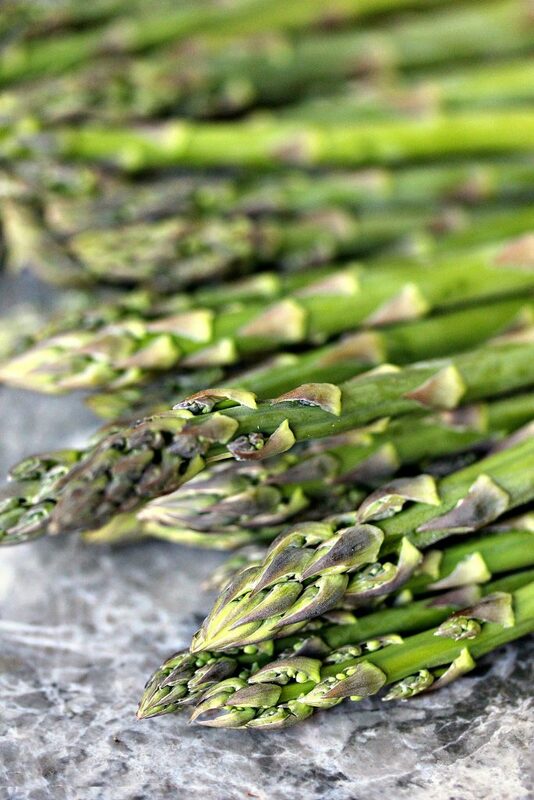 Asparagus is one of my favorite vegetables! This sounds like a fantastic preparation! You know I adore asparagus, but with this amazing butter??? I’m going to have to buy extra!!!! I’m definitely making this soon!!! 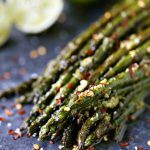 I love fresh asparagus, and the simplicity of flavors added here certainly makes this great ingredient shine! 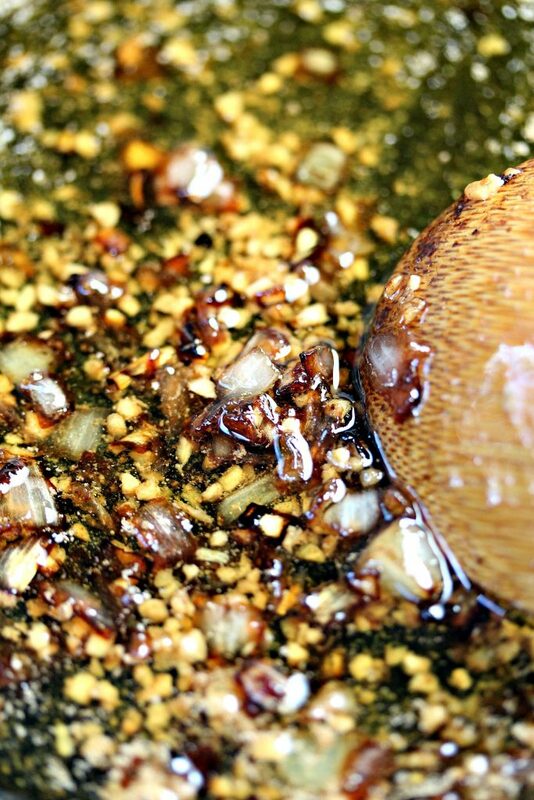 The garlic shallot butter has me swooning! You rocked this roasted asparagus! Seriously one of our favorite vegetables. We have 2 bunches in the fridge right now! Gotta make your recipe this week! 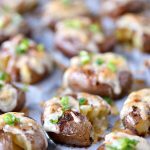 That butter sauce – YUM! It’s been forever since I’ve tried a new asparagus recipe, can’t wait to try this one! We are on such an asparagus kick right now! It’s the best time of year! It really is. It’s the same thing here. I can’t stop eating it. It’s just so good. Yes, yes, YES!! 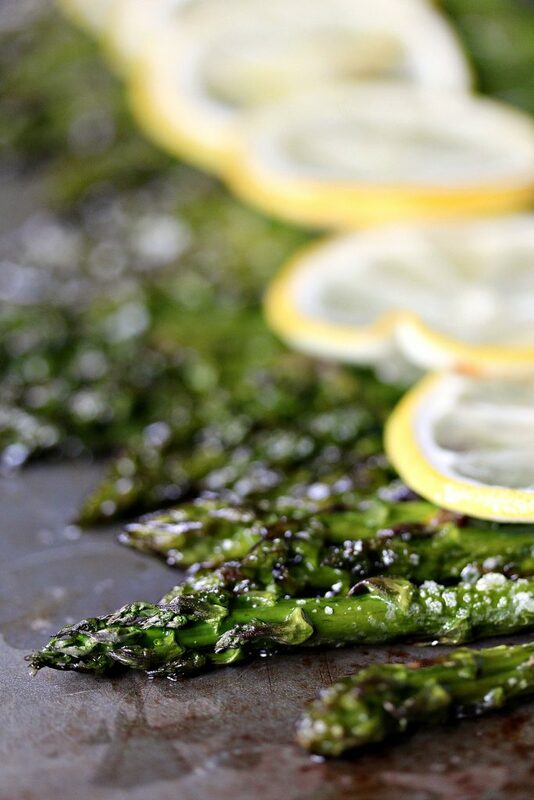 Asparagus is my fave veggie, and I LOVE it grilled. This will be happening at my house ASAP!! Oooooooh, this looks SO good! And such gorgeous pictures! We love asparagus and are actually growing are own. I planted 50 of them from seed and now have gorgeous 5 inch starts that we’re getting ready to transplant outside. It’ll be a while before they start producing, but we’re looking forward to it! This looks so good. And I am planning on serving asparagus on Easter so I will be making this.